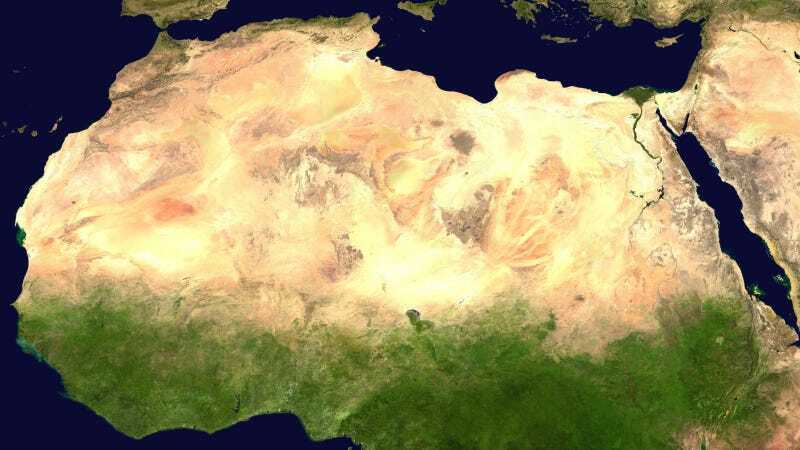 Africa’s Great Green Wall, or more formally The Great Green Wall for the Sahara and the Sahel Initiative, is the intriguing but misleading name of an enormously ambitious and worthwhile initiative to improve life and resilience in the drylands that surround the Sahara. The idea of a Great Green Wall has come a long way since its inception. Its origin goes back to colonial times. In 1927, the French colonial forester Louis Lavauden coined the word desertification to suggest that deserts are spreading due to deforestation, overgrazing and arid land degradation. In 1952 the English forester Richard St. Barbe Baker suggested that a “green front” in the form of a 50km wide barrier of trees be erected to contain the spreading desert. Droughts in the Horn of Africa and the Sahel from the 1970s onwards gave wings to the idea, and in 2007 the African Union approved the Great Green Wall Initiative. Many perceived it as a plan to build an almost 8,000km long, 15km wide, wall of trees across the African continent – from Senegal in the west to Djibouti in the east. This plan faced a great deal of criticism. It led to a clearer vision being endorsed under the same name five years later when the African Ministerial Conference on Environment adopted a harmonised regional strategy. Can the vision ever come to fruition? Only if there’s a ten-fold (at least) increase in pace so that the progress on the ground becomes consistent with lofty political ambitions. Sadly, the wall suffers from a major mismatch between ambition and effort. But that’s not to say it should be ditched. Why did the vision change? Critics argue that a desert is a healthy, natural ecosystem that shouldn’t be thought of as a disease. Nor, they argue, is it spreading like a disease. In fact, by the end of the 1990s, the idea of encroaching deserts had become difficult to defend against scientific evidence that climate variability was to blame. Critics have also pointed out that the vision of a barrier is counter-productive to the development objective as it draws attention to the perimeter of the land rather than to the land itself. To boost food security and support local communities it is better to focus on the wide field rather than its narrow edge. The development objective is important – an estimated 232 million people live in the general area of the Great Green Wall. This led to the clarified vision keeping the wall in name, but it has been bent almost beyond recognition. The wall is no longer seen as a narrow band of trees along the southern edge of the Sahara. The vision is now to surround the Sahara with a wide belt of vegetation – trees and bushes greening and protecting an agricultural landscape. The new vision engages all the countries surrounding it, including Algeria and others in North Africa, not just the 11 original sub-Saharan countries of the Sahel. Thus, the Great Green Wall is no longer a wall. Nor is it great – not yet anyway. A simple analysis gives a clear indication of how difficult it will be to realise the Great Green Wall within agreed timelines. A recent analysis by the Food and Agriculture Organisation suggests that 128 million hectares have a tree cover below the “better half” of comparable landscapes in the two aridity zones that straddle the 400 mm rainfall line around the Sahara. If one assumes that half of this (65 million hectares, or 8% of the total area in these aridity zones) needs intervention, and that the United Nations’ 2030 Agenda for Sustainable Development sets the target date for completion, then the Great Green Wall initiative should be treating an average of 5 million hectares per year (10 million hectares is the ambition to bring all lands up to the level of the better half). A less ambitious target date would be set by the African Union’s Agenda 2063 but even then an average treatment of 2 million hectares per year would be needed. The actual intervention area is not known but is likely to be far less, no more than 200,000 hectares per year and probably less. At this pace, a century is an optimistic prediction of the time it will take to complete the Wall. A massive increase in speed –- at least ten-fold –- is required if the Wall is to become great in our lifetime. More resources will clearly be needed but a ten-fold increase is unlikely. What to do? Many people assume that the wall can only be built only by planting trees. But tree planting is not always needed. Some of the less dry lands can be treated by techniques that rely on the capacity of the land to regreen itself – its ecological memory. Floods and animals move seeds to places where they can sprout and root systems of former trees are sometimes capable of producing new shoots. Sprouting roots could live as the roots are already established – unlike newly planted seedlings. These could rapidly re-green a landscape, reducing the need for tree planting, as long as farmers protect them from fire and cattle. This technique – known as farmer-managed natural regeneration – has proven to produce good results at low cost in areas where the ecological memory is sufficient for sprouts to come up by themselves and where farmers have the right to use the trees once they get big. The potential to scale it up is significant. But farmer-managed natural regeneration will not work everywhere. Other methods are needed too, such as digging half-moons (to capture water) and planting seedlings. Doing a better job of applying the right method to the right place may be the quickest and most feasible way to speed the making of the Great Green Wall.